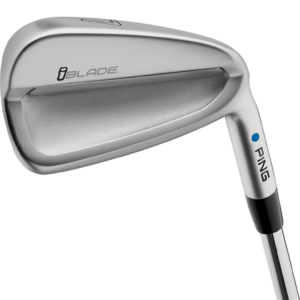 The body of the iBlade iron is precision cast from a high strength-to-weight ratio 431 stainless steel, resulting in the softest, purest feel we’ve ever achieved in an iron. 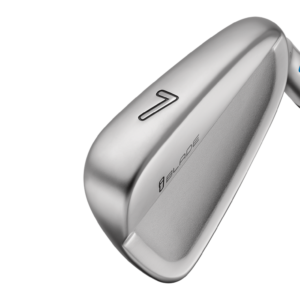 With the workability to shape shots on command, the compact iBlade head delivers consistently precise distance and trajectory control that surpass skilled players’ expectations. 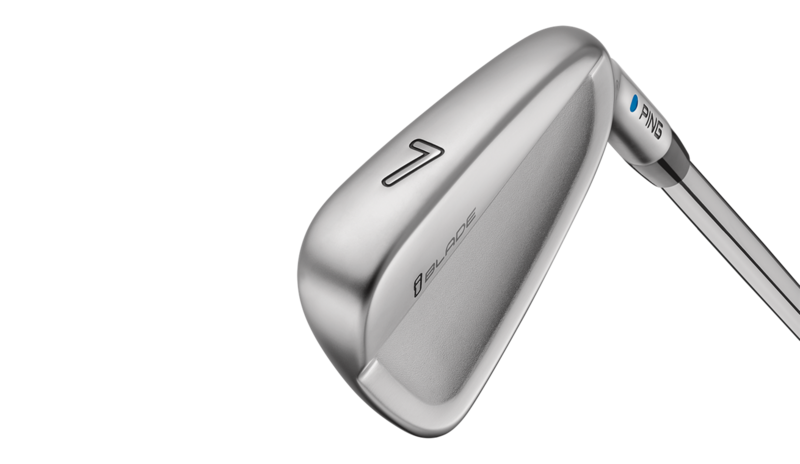 PING engineers — good players themselves — designed the iBlade with the mindset of the best players in the world. 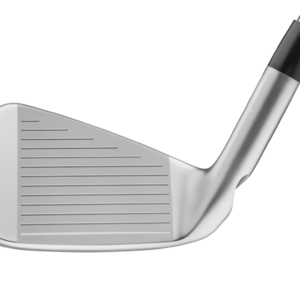 A thinner top rail, minimal offset, straight lead edge and sharp high toe will appeal to the eye of the discerning player. Refined bounce angles and ample heel relief produce a workable sole design. 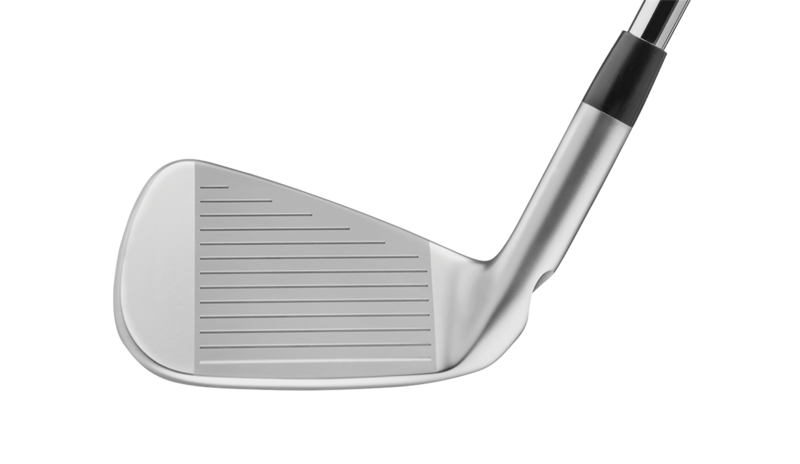 Further precision comes from the milled tour-spec grooves and precision-machined fly-cut face. 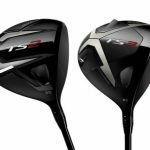 Forgiveness is also factored into the design. 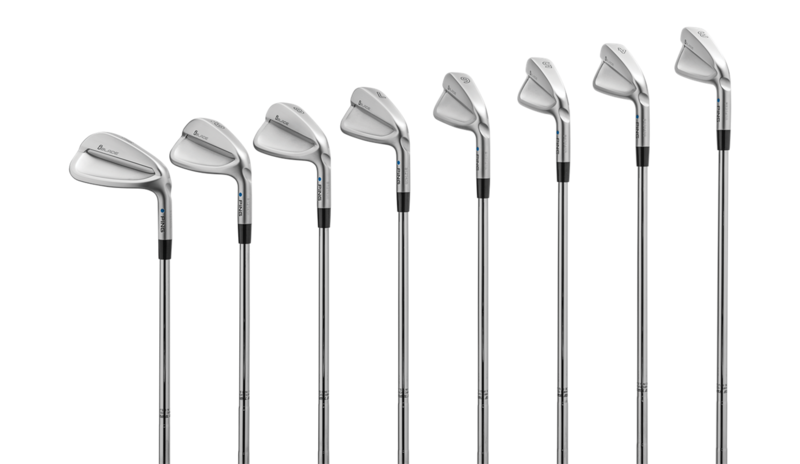 Nearly “pure” tungsten weights are pressed into the toe of every head to increase the MOI. 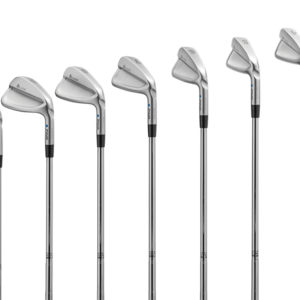 The weights are subtly concealed to maintain the clean head design. 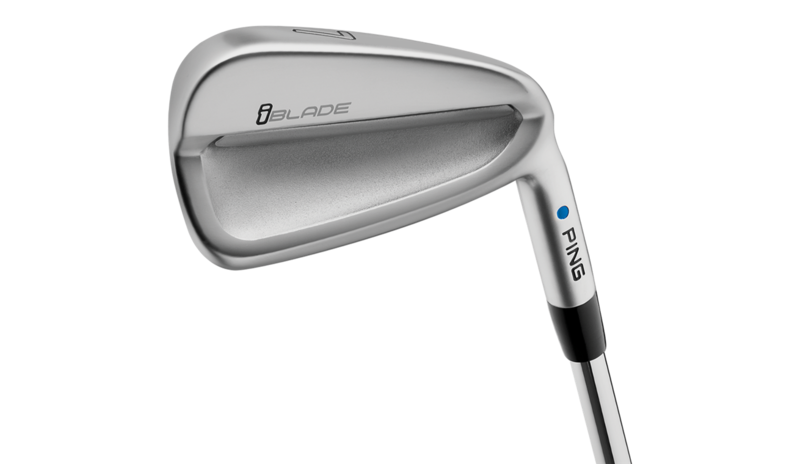 With a very high MOI for an iron its size, the iBlade iron is our most forgiving blade-style model to date.